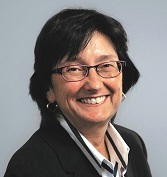 At Intel Corporation, Teresa is responsible for defining and leading the company’s global creative vision. This includes providing creative expertise and leadership across all communications channels worldwide, increasing brand value and creating demand for Intel products. 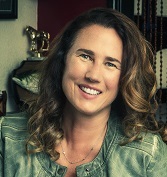 Teresa also oversees creative development for Intel’s advertising, collateral, brand and websites, leading an integrated creative process across all geographies. Over the past three years, Teresa has built a multi-functional in-house team called Agency Inside as well as a production and content-creation arm, Intel Global Production Lab. 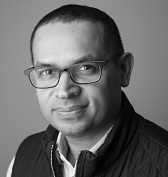 As president of Avocados from Mexico (AFM), Alvaro has turned the produce industry on its head with marketing strategies that defy typical paradigms to deliver atypical results. With 25+ years in consumer-packaged goods and produce, Alvaro’s career has shaped his approach to connecting with consumers. 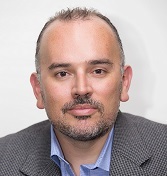 Prior to AFM, he spent 15 years in marketing leadership positions throughout the U.S. and Latin America, with Gruma’s Maseca and Mission brands. As a native of Costa Rica, Alvaro holds a marketing degree from the University of Costa Rica and Advanced Management Program from INCAE. Author. Designer. Data Punk. Broadcaster. DJ. Developer. When asked what he wanted to be when he grew up at age six, Geoffrey answered: “Rich from knowledge.” At Microsoft, Geoffrey wants you to rethink how to learn, communicate and evolve in the 21st century and how marketing, advertising, design and technology will influence this evolution. This requires learning, unlearning and relearning, and future proofing. Geoffrey has programmed experiences in AR, voice skills and conversational interfaces. Prior to Microsoft, he spent time at Ogilvy & Mather and 360i, working with clients like IBM, Coca-Cola, American Express, WWE, History, Red Bull and Mondelez, to name a few. In this panel session, we’ll examine the new face of marketing, what’s prompting disruption, and what companies are doing to keep pace and remain competitive. From integrating brand touchpoints to overcoming corporate silos, we’ll address the challenges inherent in today’s modern marketplace. Featuring esteemed panelists Dave Klay of CIGNA, Sangeet Pillai of Verizon and Wendy Zajack of Georgetown University, and facilitated by Jen Cortner of Discovery Inc., Shift Happens promises to be a candid discussion about the unexpected changes and unrelenting surges that are redefining the industry. 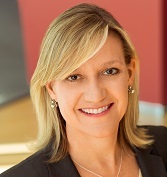 Jennifer Cortner, VP, Partnerships & Operations, Discovery Inc. In 2012, Discovery Inc. was the proud recipient of IHAF’s In-House Agency of the Year award. Fast forward to the summer of 2018 when the company announced its decision to dissolve the internal agency capability, leaving team members pondering the future. 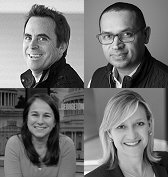 In this session, three senior leaders from the Agency at Discovery will reveal what prompted the shift, how the team pivoted in response and lessons learned along the way (war stories and all). Join us for this timely tale of disruption and the enlightening take-aways that resulted. 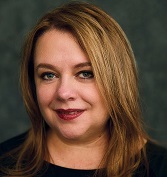 Jennifer Cortner, VP Partnerships & Operations, Discovery Inc.
Not only has Jen been a pivotal leader for 15 years at Discovery, she’s been a popular personality in the IHAF community—having participated on the IHAF Board of Directors for six years, two as Board Chair. 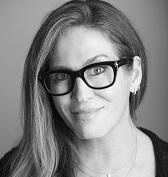 As head of partnerships at Discovery, Jen builds strategic relationships with media, corporate and non-profit partners. Previously, Jen oversaw account service at Discovery including print, digital and broadcast promotions in support of a range of networks. Prior to Discovery, Jen was president of EFX Media, specializing in creating broadcast and interactive campaigns for corporations, trade associations and non-profits. Kelly George, VP Account Services Agency Creative, Discovery Inc.
Kelly abandoned a budding career as a graphic designer to follow her love of sharks, making her way to Discovery Inc. over 15 years ago. Today, she leads the Account Services team for the in-house agency, focusing on client service, corporate brand stewardship and strategic creative development across multiplatform campaigns for Discovery’s host of global brands. Between herding cats and keeping the trains on schedule, Kelly has a passion for advertising and loves turning consumer-based insights into creative solutions. James recently joined Coca-Cola Studios as Creative Director. Previously, he was VP, Creative at Discovery Inc. and prior to that, led the creative department of Discovery Networks Europe in London. James began his career as a journalist and feature writer for national newspapers and magazines in London, migrating to television where he spent four years helping to launch Nickelodeon as a producer/director. From there, he joined Walt Disney/Buena Vista in Asia Pacific running their creative and production departments. 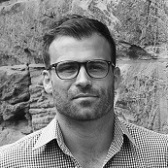 Once cited as one of broadcasting’s Top 100, James has freelanced as a creative director and ad director, working for diverse broadcasters from the UK’s Channel 4 to Network 7 Australia. Though not typically thought of as the hub of integration, this session explores why (and how) in-house agencies should make a point of building more-collegial, reciprocal relationships with other shared services like Finance, HR and IT. We’ll talk about the importance of cross-functional relationships in completing daily tasks and why internal agencies are ideally suited to be conduits of collaboration enterprise wide. Key takeaways include: identifying who on your team is most likely to foster cross-functional relationships, how to overcome objections to working with other departments, and how to leverage your newfound partnerships to impact everything from positioning to product development. Eric has spent over 20 years focused on video production, web design, information architecture, usability, multimedia and web technology for Lockheed Martin. He is an award-winning designer and an industry expert on streaming media, multimedia production, intranet design and usability. His experience runs the gamut from tradeshow booths to web applications, including work for leading brands like Goldstar, IBM, Intel, Levi Strauss & Co., L'Oréal, Oral-B and Sun Microsystems. 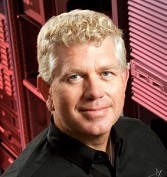 Eric has taught and lectured for the State University of NY, University of California and California State. He has also presented at a host of industry events including AfgaCon, Comdex, InfoToday, Intracomm, Seybold and Sonicfoundry Unleash. The emerging field of decision science will soon have a game-changing effect on how marketers communicate. More evidence is uncovered every day by social scientists and behavioral economists that prove people are hard-wired to behave in certain ways. Even though customers think they’re in control, the fact is that up to 95% of purchase decisions are made subconsciously—automatically and instinctively. And these automatic behaviors can be prompted! This has huge implications for how we create marketing/advertising. By injecting the proven principles of social science into our creative executions, we can increase engagement and response. Nancy is passionate about the impact of behavioral science on marketing. An Online Marketing Institute Top 40 Digital Strategist, Social Top 50 Email Marketing Leader, and Hatch Top 100 Creative Influencer, she has spearheaded creative for integrated campaigns for AT&T, IBM, GM Card, Dell, Nationwide, Bank of America, Sheraton, UnitedHealthcare, American Express, and more. Nancy is known for interesting, actionable insights that focus on applying behavioral science to marketing. A sought-after speaker, she has wowed audiences in Russia, Sweden, Brazil and throughout the US—including SXSW. With great un-fireability comes great responsibility. When your “client” is also your colleague who sits down the hall, you’re not some vendor they can boss around or fire when things don’t go well. So, what do you do? You can either make safe and boring work, or you can push the creative boundaries and venture into unchartered waters trying to achieve unprecedented success. In this lively discussion, Dollar Shave Club’s Matt Knapp and Matt Orser will talk about what happens when you stop asking what the client wants and start delivering what the business needs. Known for his entrepreneurial spirit, Matt has worked for some of the biggest ad agencies in the world. 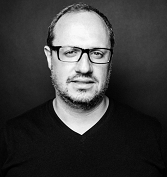 An Australian, he started at DDB/Sydney, then DDB/NY and most recently Anomaly New York. 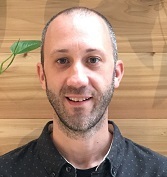 Matt has created campaigns for leading brand such as McDonald’s, Volkswagen, Telstra, Hertz, New York Lottery, Marriott, Google, Converse and Captain Morgan and his work has been recognized by Cannes, One Show, Clio, Young Guns, D&AD, Webby and more. Over the years, Matt also created an emoji-only messaging app for iPhone, illustrated a book, started an art line for men, created the first online music festival for sick children, and set up an online listening service for anyone who needs an ear. Matt began his career with Chicago-based LOIS/EJL, where he advanced from intern to art director, mentored by the folks who launched the first-ever Corona campaign. More recently, Matt was the first senior general-market creative at The Community in Miami Beach—joining the team to bring in more youth-related general market business. At The Community, he continued to produce award-winning work for MTV, VH1 and Volkswagen. Today, Matt is a creative director with the internal agency at Dollar Shave Club, working across its assortment of products to engender loyalty and love for the brand. In a programmatic world, media buying is increasingly being approached as a scientific formula—an equation with a defined answer to be calculated. Without a doubt, marketing is becoming an industry comprised of left-brained analysts. But at what cost? As technology enables consumers to throw out, screen out and tune out unwanted messages, what can we do to keep them tuned in? In this session, John Moore will share his creativity-driven approach to media, along with strategies and examples of successful campaigns that were embraced by consumers while delivering results. Case stories from JetBlue, Netflix, Patrón and Royal Caribbean will be shared. John is responsible for crafting the vision and spearheading business development across MullenLowe Mediahub’s eight major hubs worldwide. He has built a global operation that focuses on putting creativity at the core of every media solution as consumers become more skilled at discarding unwanted messages. MullenLowe Mediahub recently launched its R+D (Radical and Disruptive) Lab, a dedicated media creative group that co-creates content with avant-garde media providers. 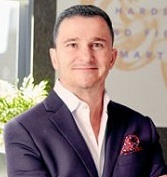 Under John’s leadership, MullenLowe Mediahub was honored as Adweek’s 2018 Media Agency of the Year and MediaPost’s Creative Media Agency of the Year in 2016 and 2017. 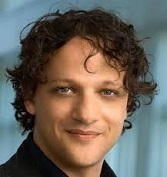 He was also named one of 18 Media Mavens by Ad Age in 2010. What happens when you try to build an in-house strategy group from the ground-up in record time, all while rethinking and retooling your corporate brand? This session includes cautionary tales along with lessons learned born out of the Verizon team’s recent, real-world experience growing its internal capability, 140 West. Join Verizon’s strategy team leaders as they reveal what’s required to build a fertile, creative strategy sub-culture while striking a balance between continuity and disruption. As a member of 140, Verizon’s in-House agency, Christine leads strategic communication development and planning for Fios and key initiatives for Verizon wireless. In her role, Christine leverages her experience as a former creative director at Ogilvy, Fallon and KBS to develop strategies that lead to inspiring creative. In her external agency days, she worked on top-tier brands including American Express, Coca-Cola, IBM, Condé Nast, BMW, Motorola and British Airways. Verizon’s 140 is Christine’s second tour of duty in house—previously, she spent six years as director of consumer engagement with Combe, a CPG in the personal-care space. 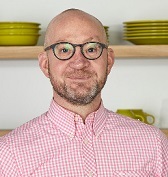 Bill brings 18 years’ experience in marketing project management, workflow design, process creation and change management to his position as operations lead at HelloFresh. Bill has also customized workflows and process for Christies, Inc. and Chipotle Mexican Grill, including the introduction of a uniform project management methodology, implementation of a digital asset management system and on-going marketing portfolio management. He prides himself on his pragmatic and compassionate approach to driving change that results in meaningful transitions, personally-invested stakeholders and stronger, more-unified marketing organisms. Technology is rapidly erasing old lines and remapping the industry. The emergence of new platforms, especially within social media, has completely retooled our strategies and the channels we use to deliver messages. As creatives, we have an opportunity to use our collective superpowers to do everything from selling product to influencing world views. Learn why we need to embrace this change, experiment and even push the boundaries further. Instead of hunkering down in our safe spaces, let’s reach beyond to learn, explore and experiment. We’ll review some pioneering examples from leading agencies and corporate brands—silo busters who are paving the way for us to take the journey. With over 20 years’ experience in marketing, PR, media relations and internal communications, Wendy thrives on making complex content easy to understand, exciting and relevant to broad audiences. She spent her corporate career building multi-channel messaging for large, global organizations. 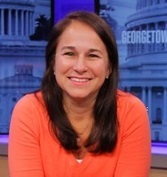 She joined Georgetown University in 2016 as faculty director and professor in the School of Continuing Studies, focused on the Integrated Marketing Communications and Design Management Communications master’s program. Wendy brings her extensive experience to the classroom, helping students explore innovative ways to market and communicate in an increasingly crowded business environment.